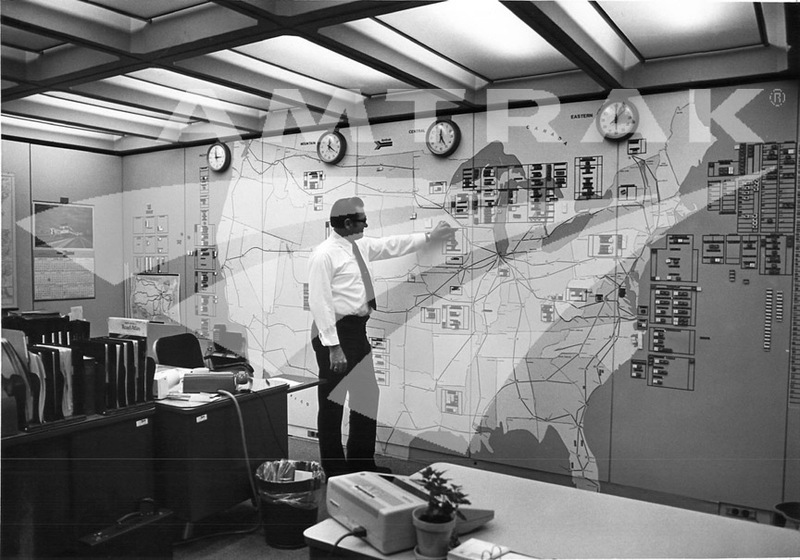 Home > Archives > National Operations Center, 1970s. Trains tracked by hand in pre-GPS days. National Operations Center in L'Enfant Plaza, Washington, D.C., in the mid 1970s. This photo was used in Trains magazine in January, 1976. Collection of Kalmbach Publishing Co.